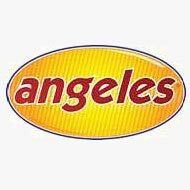 Angeles is a name you can trust for quality, innovation and value. Every Angeles product goes through extensive testing to ensure safety and durability. Angeles started out making tricycles but have expanded their line to multi-seat buggies, cots and other childhood products. Going strong for over 50 years, you know the Angeles brand can be trusted as a supplier for products your students and children will love. The exclusive Angeles Bye-Bye Buggy is popular with daycares and multi-children households. With a variety of Bye-Bye Buggies to choose from, like the fun 6-seat Bye-Bye Bus or 4-seat Bye-Bye Buggy, you will find one that will fit your needs. Older kids will have fun with the big selection of trikes like the ClassicRider, SilverRider or MyRider tricycles. The Spaceline Cots, with its Greenguard Gold certification, has become the reliable and go-to cot. With Angeles’ superior line of products and Worthington Direct’s outstanding customer service, you can’t go wrong.